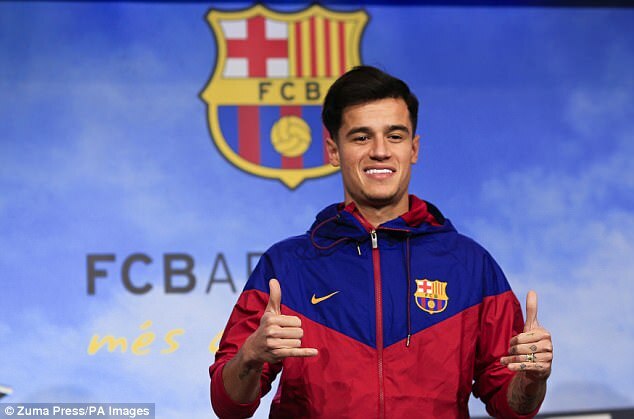 Philippe Coutinho’s move from Liverpool to Barcelona has been motivated by many things – money, success, but primarily, history, the honour of playing for one of the world’s biggest clubs. Considered one of the best defensive midfielders in Brazilian football in the early 20th century, Fausto was one of two Vasco de Gama players loaned to Barca, becoming trailblazers in the process. With Fausto, this goalkeeper set the trend for Brazilian players at Barcelona. Played 32 times in a season long loan, however due to registration rules of the time, both players could only take part in friendlies. Later played for Sporting Lisbon and Marseille. This right winger was signed by Barca’s Uruguayan coach Enrique Fernandez, making his the club’s first permanent Brazilian signing. He struggled however, preferring the city’s nightlife to the training pitch, and only played six games. The first great Brazilian star for Barcelona. He scored 178 goals in 226 games, and won back to back La Liga titles in 159 and 1960. He also scored the goal that knocked Real Madrid out of the European Cup in 1960 – the first time Real were ever beaten in the competition. Ironically, he swapped the Nou Camp for the Bernabeu in 1962. Also called ‘Silva Batata’, this striker signed after playing for Brazil at the 1966 World Cup in England. Played 14 times for Barca before returning to his home country. Capped 15 times by Brazil, Marinho was a centre back who signed after his country finished fourth at the 1974 World Cup. He later became a manager, and was the Sporting Lisbon coach who gave future Barca star Luis Figo his debut in 1991. Real name: Williams Silvio Modesto Verisimo. A squad player for two seasons – with Barca winning the Cup Winners’ Cup in both campaigns – playing just nine games in that time, scoring three goals. This striker one of few footballers who is better known for his post-Barca career. He managed just two goals in eight games in Spain, but is a legend at Vasco da Gama. Dinamite is Vasco’s record appearance maker, goalscorer, and has served as president of the club and as a politician in Rio de Janeiro. After Bernd Schuster was injured, manager Udo Lattek asked for a new central midfielder. However Cleo struggled to adapt: partly after agreeing to pose half-naked in a magazine, which led to accusations that he was gay, and partly because shortly after his arrival, Barca signed Diego Maradona. Cleo left inside a season. Although never a regular starter for Barca, this centre back won a Copa del Rey and Cup Winners’ Cup before departing for Porto, where he became a club legend, staying for 11 years, playing over 400 games and winning 19 major honours. The star of Brazil’s 1994 World Cup winners, he also shone very brightly – if briefly – for Barca. Scored 30 goals in 33 games in his first campaign, and 53 in 82 matches total. However, he fell out with the club in 1995, and returned home to Flamengo. Signed by Bobby Robson and a Cup Winners’ Cup winner in his first season, this attacking midfielder completely fell out with his next Barca boss, Louis van Gaal, who he charmingly called ‘Hitler for Brazilians’. Joined Olympiakos for £10.8m. 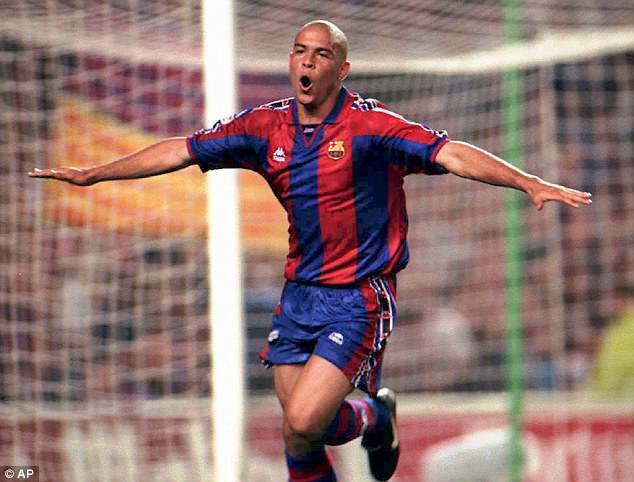 A £13.2m world record signing from PSV, the original Ronaldo enjoyed arguably his greatest season when at the Nou Camp. 47 goals in 49 games is a dizzying statistic, and he ended the year as the youngest ever FIFA World Player of the Year. However, he was personally unhappy, left for Inter Milan for another record fee – £19.5m – after one season, and has since been vocal in his criticism of the club. Between hugely prolific spells in Ligue 1 with Monaco and Lyon, this striker spent two years battling with Patrick Kluivert and Luis Enrique for a starting spot. However, like Rivaldo, Sonny left after a bust-up with van Gaal. One of the most gifted players of his generation, this play-maker won virtually honour available in the game, including the Ballon D’Or and the 2002 World Cup. 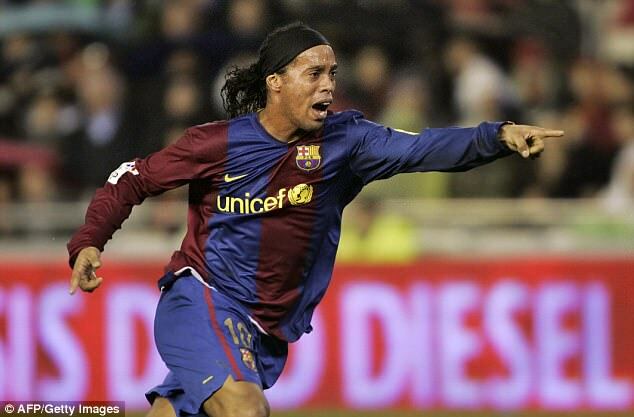 His hat-trick against Valencia on the final day of the 2000-01 season – completed with a 20-yard bicycle kick – is regarded as one of the best ever. Still going strong at the age of 35 in PSG’s midfield, Motta played 142 games for Barca and was an important squad player in the 2006 Champions League triumph – although he was an unused sub in the final. The early 2000s were a lean period for Barcelona – Champions League qualification was not always guaranteed – and Rochemback was at the centre of an uninspiring midfield. Later went to Middlesbrough, where he is regarded more fondly. There are not too many connections between Barcelona and Hull City, but this attacking midfielder is one of them. Signed from Gremio for £19m, he was on his way to Benfica after just one underwhelming season. Later starred for the Tigers in their debut Premier League campaign. For those who grew up watching this buck-toothed yet beautiful footballer, he remains one of the greatest of all time. Winner of the Ballon D’Or in 2005, two La Liga titles and the Champions League in 2006. His goal against Chelsea at Stamford Bridge, a 20-yard curler with no back lift, needs to be seen to be believed. Based on skill and trickery alone, Belletti is a footnote in Barca’s gallery of Brazilian maestros. However, his winning goal in the 2006 Champions League final – slotted past Arsenal’s Manuel Almunia after cutting in from right back – means he forever remains a hero. One of the world’s most reliable left backs in his time, Sylvinho only won four Brazilian caps due to his path being blocked by Roberto Carlos’ thighs. For Barca, he won three league titles and two Champions Leagues. Also starred for Arsenal and had a season at Manchester City. Along with Motta, Belletti, Sylvinho and especially Ronaldinho, Edmilson was part of the Brazilian core which helped Barca get its mojo back after a disappointing start to the millennium. Never a star, the defensive midfielder was a key cog for coach Frank Rijkaard. Four years, three loan spells, zero first team appearances. Barca fought hard to claim this centre back ahead of Ajax, yet he never made the grade, instead playing for Bayer Leverkusen, Racing Santander and Palmeiras before being shipped out. Another expensive acquisition – £12.6m from Desportivo – who Barca fans would struggle pick out of a police line-up. He barely set foot in the Nou Camp, instead being loaned to Benfica, Fiorentina, Santos and more before being released. After Belletti left the club, Barca not only went for another Brazilian right back, but a significant upgrade. Alves bucked the national trend by being equally strong in defence and attack, with three Champions Leagues and six La Liga titles from his time in Pep Guardiola’s all conquering side to show for his massive talent. While Alves bombed up and down the right flank, Maxwell attempted to do the same on the left, although often with a lower success rate. A fine player, but he left for PSG in 2012 without anything like hero status. A squad player during the glory days of Guardiola, Messi et al, Adriano’s adaptability made him very useful – he was comfortable on the left or the right, at full back or in wide midfield. Now aged 33, he plays for Besiktas. What might he achieve – or, in the case of Barcelona, what might have been? 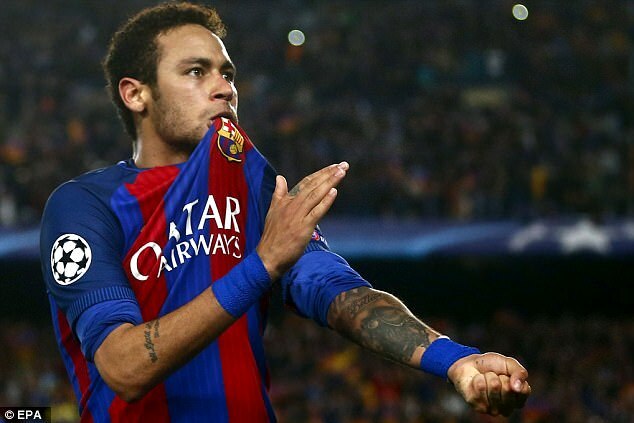 Signed for £75m from Santos, Neymar was worth every penny alongside Lionel Messi and Luis Suarez, as frightening a front line as was ever seen. However, his desire for individual stardom saw him seek a move to PSG, for a world record £200m. Neymar was the last Brazilian superstar at Barcelona – can Coutinho be the next hero? 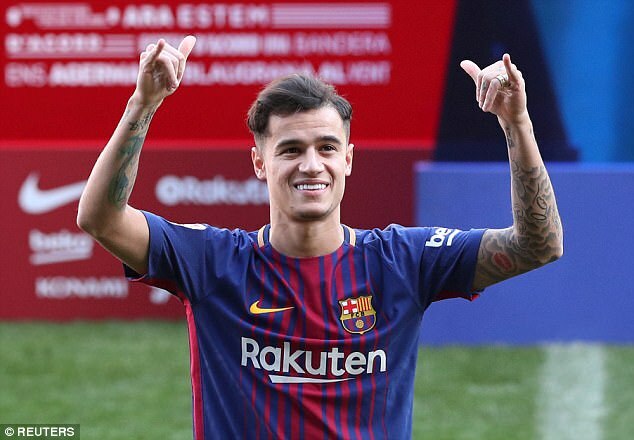 An academy product, and now with Coutinho one of five Brazilians currently on Barcelona’s books. Deployed in the centre of midfield or on the wing, this 24-year-old looks to be one with his best days in front of him. A right back plucked from Sao Paulo for only £3.5m – Barca have learned the hard way about overspending on nebulous Brazilian talent – he has spent recent seasons on loan at Sporting Gijon and now Benfica. One for the future. A 22-year-old centre back signed from Fluminese last summer, and immediately sent to cut his teeth on loan at Nice. Has been in and out of the squad in France, however. Few signings have ever surprised and subverted opinions so soon after arriving. The former Tottenham flop was held up as a sign of Barca’s decline when plucked from China last summer – and his abysmal attempts at keepy-uppys at his unveiling looked to confirm this. However, he has been reinvented as a goal-scoring, all action midfielder, as Barca look set fair for another La Liga title.